The beauty of our primary senses is how they interrelate. Once we experience something either via sight, hearing, taste, smell or touch, we often find ourselves having to give an account of the feelings and sensation that we experienced in that particular moment. We describe the experience. A descriptive essay relays information to another party by giving as much visual and intellectually stimulating information as possible. You may need to describe a person, an object, a thing, emotion, a place or even a scenario. One needs to give accurate information and relate it to things that the audience can refer to. Moreover, as a writer, you are allowed to use embellished language to appeal it to the reader. Spice up the language such that it gives life to your descriptive essay. The organization is a premium element in any essay. For a descriptive essay, though, the organization is almost as important as the content. One may feel tempted to ramble on about the feelings and emotions while describing the subject matter. It is impetuous to structure your descriptive essay in such a manner that allows the reader to go over all the important details without going overboard. Moreover, one needs to condense all the information to avoid being too lengthy. Very long descriptive essays are usually boring to read. Remember, the ultimate goal of the descriptive essay is to be an interesting read. That in mind, there are two very crucial parts of a descriptive essay in relation to the organization. These are the format and the outline. It is impetuous to structure your descriptive essay in such a manner that allows the reader to go over all the important details without going overboard. A descriptive essay outline cannot be written without the understanding of the format. This form of a descriptive essay has three major parts. It introduces the reader to whatever topic you have in mind. It provides little background information. It has a thesis statement. A brief sentence that states what the whole essay entails. 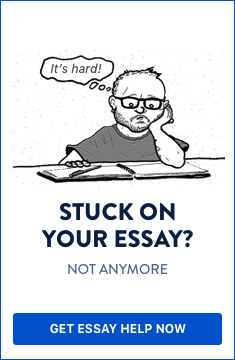 The introduction sets the tone and mood of your entire descriptive essay. This section is the meat of your descriptive essay. It provides all the details in about 2-4 paragraphs. It illustrates physical characteristics, emotions, and ideas that the subject evokes. It has a chronological order of the subject you are describing. The language in the body is expected to show the audience rather than tell them on the subject matter. This final section wraps up your descriptive essay. It provides small snippets of all that you have said. Here, you can offer a personal comment or a reflection on the matter. Depending on the subject matter, you may also have a call to action and ask the audience to be moved in a particular direction. The conclusion should be entertaining, leaving the reader impressed with your work. Writing a descriptive essay outline enables a writer to organize whatever they want to communicate. Before writing an outline for descriptive essay, the author must be well aware of the points they wish to communicate to their audience. The author then proceeds to build on the topic by giving supporting information. The information originates not only on the five senses, but also on other notable characteristics and facts. The writer puts down ideas that he is willing to share, the language they will use and above all the direction they are taking with the topic in mind. The outline must always follow the format of the descriptive essay. It must use concise language. It should be based on the topic and other smaller subtopics. It should be the blueprint for the main essay. It should have all the main ideas that the writer includes in the essay. The descriptive essay outline should: follow the format of the descriptive essay, use concise language, be based on the topic, be the blueprint for the main essay, have all the main ideas that the writer includes in the essay. Hook the readers’ interest. Use something interesting. Give a few background details. Why is the issue important? Provide the mood that you want to create in your descriptive essay. Describe the topic according to the senses. Describe your first romantic destination. Provide a vivid description of the place, location, the views and the least known information. Why does it make it a worthy destination? Describe the second romantic destination. What are its unique features? Where is it located? What do you expect? Who is most likely to like it? Why is it worth mentioning? Offer a description of the best romantic destination. Why is it the best? What is unique about it? Where is it located? What kind of personalities will like it best? What emotions does it evoke? Summarize all your points on the most beautiful destinations in South Africa. Why did you choose these three over all other available options? Give other relevant information on your option for the best choice of destination. Give a closing thought or a personal reflection. Have a witty and creative winding up statement. Having completed the descriptive essay outline, there is one other important detail that you need to incorporate. Detail each destination as per the five senses. Describe types of food - the variety and their appeal on the palate. Describe the feel of the architecture. The sunshine, the wild animals, the general landscapes. The sounds of nature. The wild animals, the night crawlers. The scent of nature. Clean air or scents of animal dung. Such a break down enables you, as the writer, to put down all relevant information that you would wish to have in your descriptive essay. It keeps you objective. Writing a descriptive essay can be as indulging for the writer as it is for the reader. The author gets to show his mastery of expression while furnishing the reader with important details. That said, the foundation for this descriptive essay lies in the organization. A well-organized essay is both easy to write and to read.